APM Hexseal Custom Elastomeric Molding Capabilities » HHP Associates, Inc.
For more than 65 years, APM Hexseal has been 100% focused on the development and production of internal and external sealing solutions for electrical and electronic applications, from relatively simple designs to complex geometric configurations, many requiring bonding to metal components. 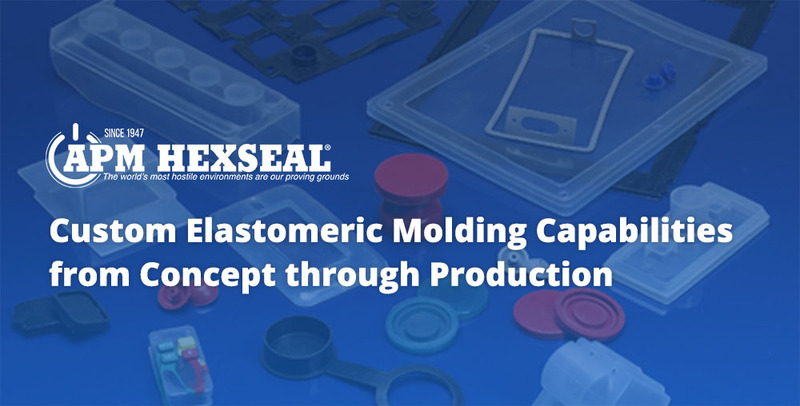 Drawing upon their experience with precision transfer and compression molding using a wide range of elastomers, rubber-to-metal bonding and coating treatments, APM Hexseal offers an efficient method to develop your custom sealing needs, from concept all the way to production. Whether working from a preliminary design you have provided, or creating a new design from scratch, APM Hexseal’s experienced design team will be at your side, assisting you in the development of a reliable, cost-effective product that meets your application’s unique requirements.